Help us choose our chat hashtag: Vote now! 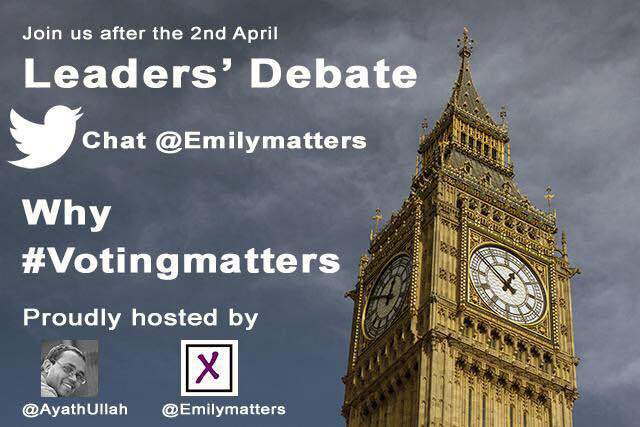 Meet the Leaders then join our next Why #votingmatters chat @Emilymatters tonight (2 April), which will take place directly after the Leaders’ Debate on ITV. Love these @bbcelection Party leaders in 15 seconds clips. Take a look (listed in alphabetical order), let us know what you think. And don’t forget our #ge15 toolkit, which includes apps and websites that give you all the information you need to register as well as find out which political party you agree with most. I believe a rising tide carries all boats, or in this case votes. 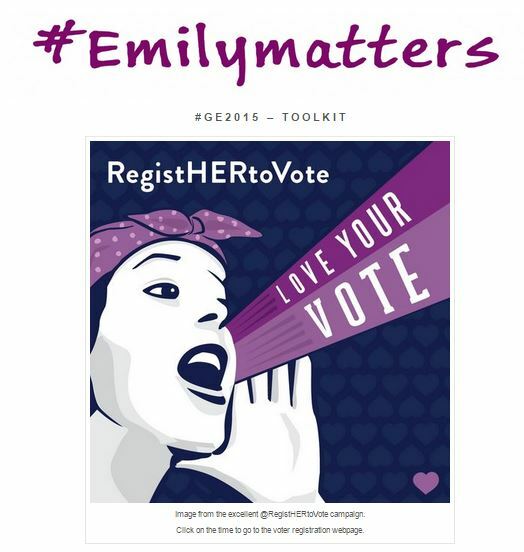 The Emilymatters team includes a young political activists and we continue to build partnerships with other campaigns and organisations, including the WEA, The Peoples’ Politics and Fawcett BSE. We’re now planning the next stage of the campaign, working alongside @RegistHERtoVote, which will include an exciting new campaign to encourage more young people and women to vote. And we’d love you to join us! A rising tide carries all VOTES!